ChicExecs Secures Joya on Brit+Co! Our latest feature is for our client Joya on Brit+Co.com! Are you looking for the perfect Christmas gift to get your girl? 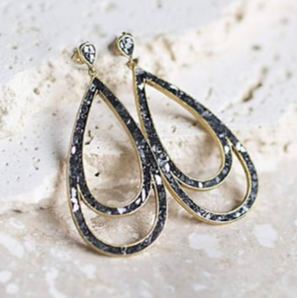 Check out these Tear Drop earrings: Natural rough diamonds set in sterling silver with 18K gold overlay. Check out Joya if your looking for unique beautiful jewelry to add to your collection.